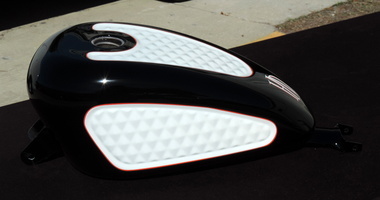 We painted this aftermarket Sportster tank that had raised "diamonds" on the top and the sides of the tank. 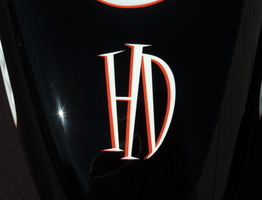 Black basecoat with white on the diamonds and an orange pinstripe separating the 2 colors. 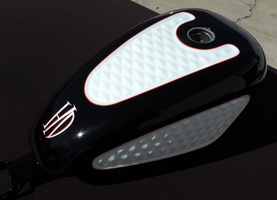 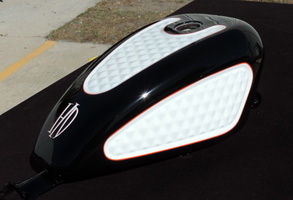 Custom H-D lettering painted on the top of the tank. 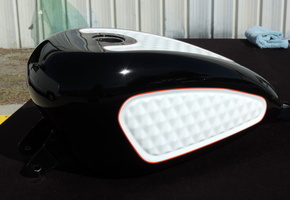 Really cool looking paint job!